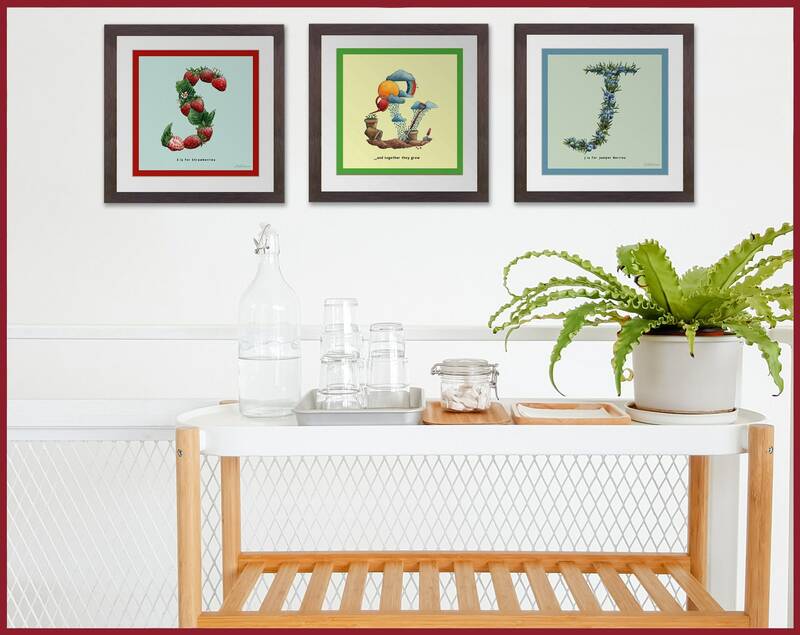 Whether you're looking for an unusual birthday present or a unique house warming or wedding gift, these alphabet letter prints are a great addition to any home. 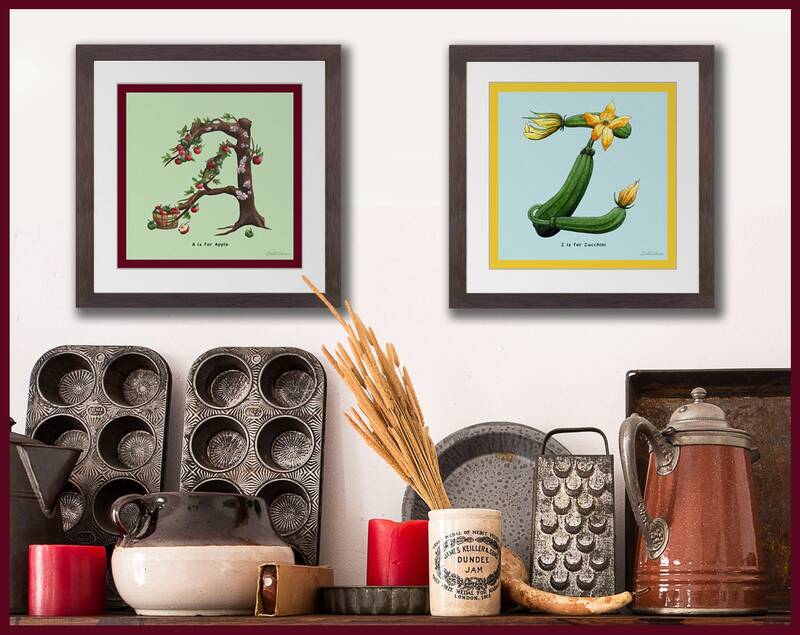 Why not add that personal touch to the family kitchen or dining area and feature each family members initial. 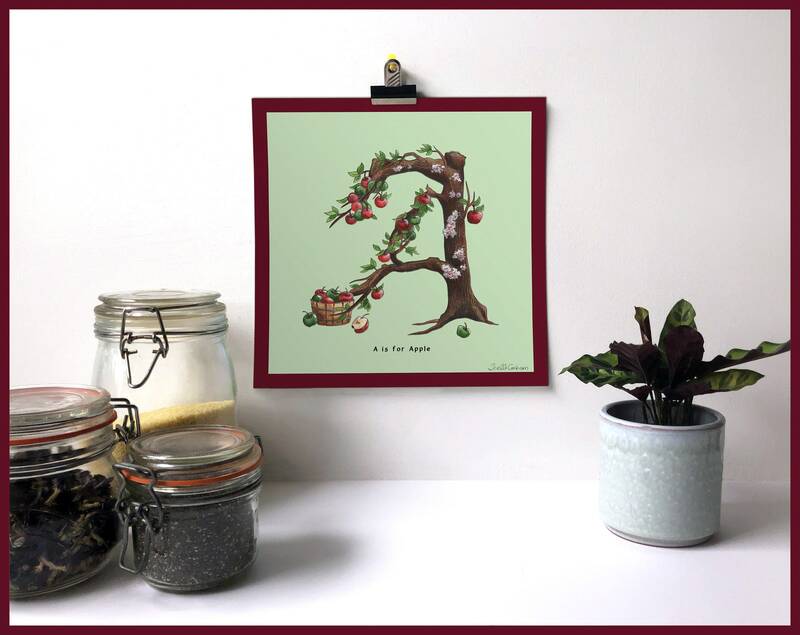 From A is for Apples to Z is for Zucchini every letter of the alphabet has been beautifully illustrated featuring fruits and vegetables beginning with the same letter. 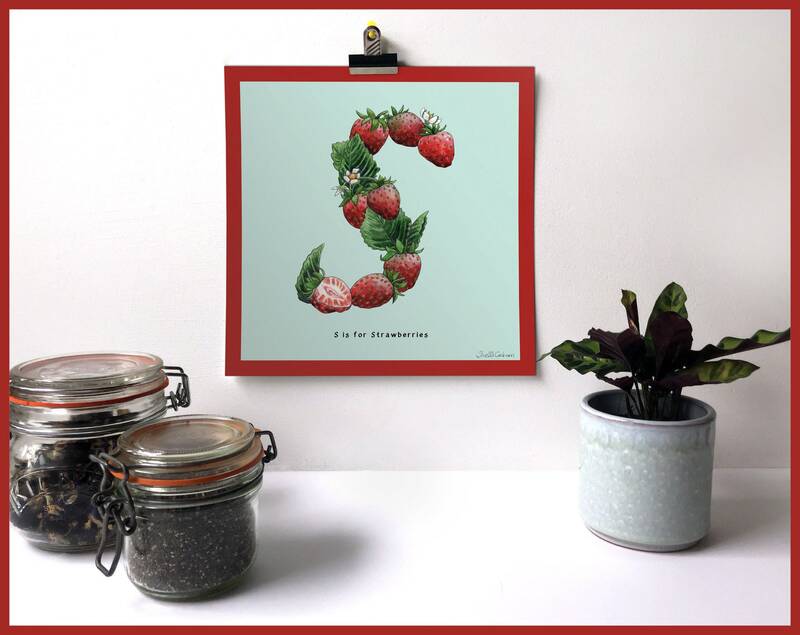 All of our illustrations are printed onto high quality archival paper (240gsm). 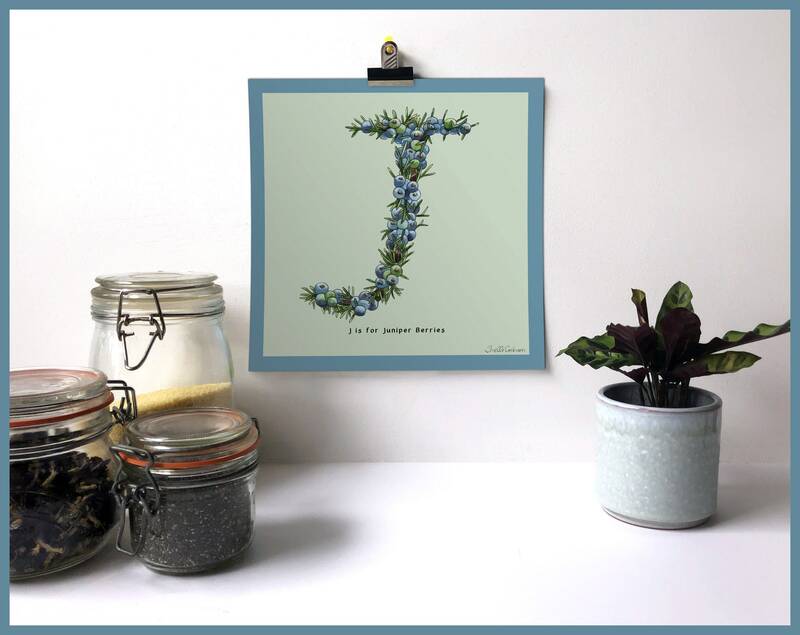 Each print comes signed by the artist. 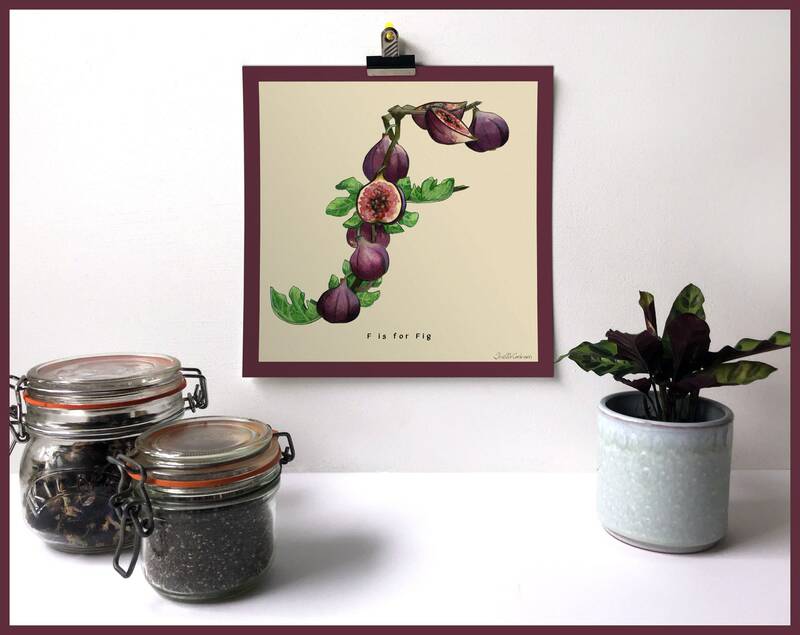 We use the finest quality inks and paper to deliver beautiful, vibrant art work that lasts. Prints fit a standard 10" x 10" frame. You will receive your signed print backed on cardboard. In an effort to reduce the use of single-use plastics, all fine art prints available via my online store, are now offered 'Plastic Free'. 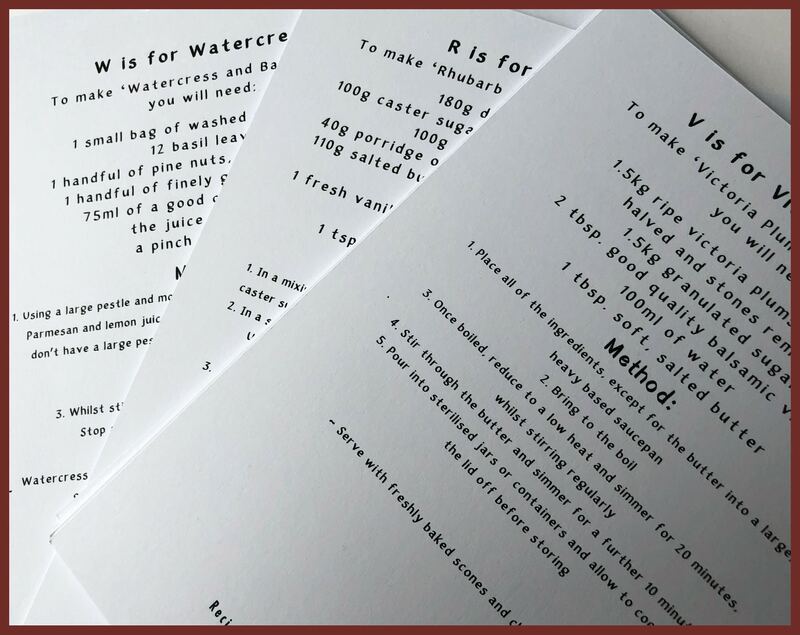 If you do not need your print to arrive inside a cellophane wrapper please select 'Plastic Free Please!' from the 'Packaging' drop down menu. Cellophane wrapping is still available if requested. 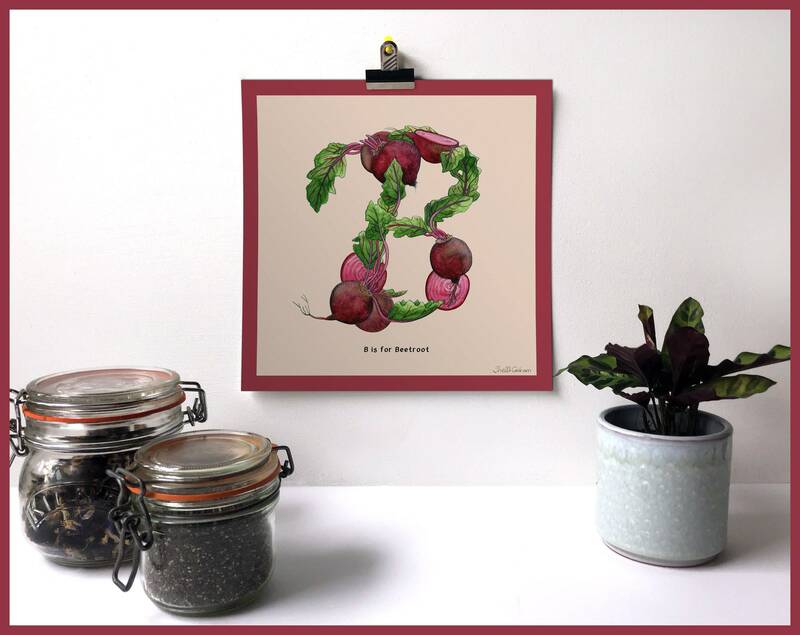 This series is perfect for foodies, keen cooks, gardeners and allotmenteers. But wait, theres more! 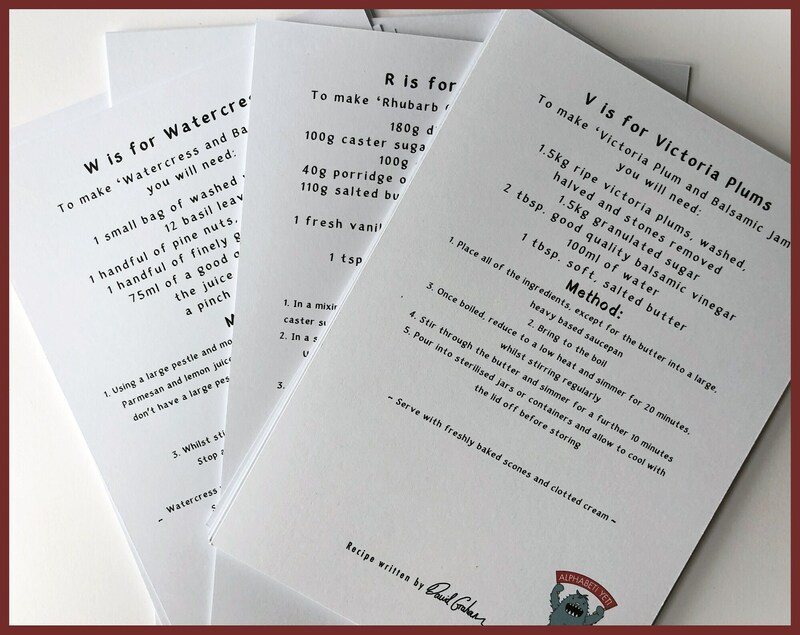 On the back of the print, you will find a keep sake recipe card. 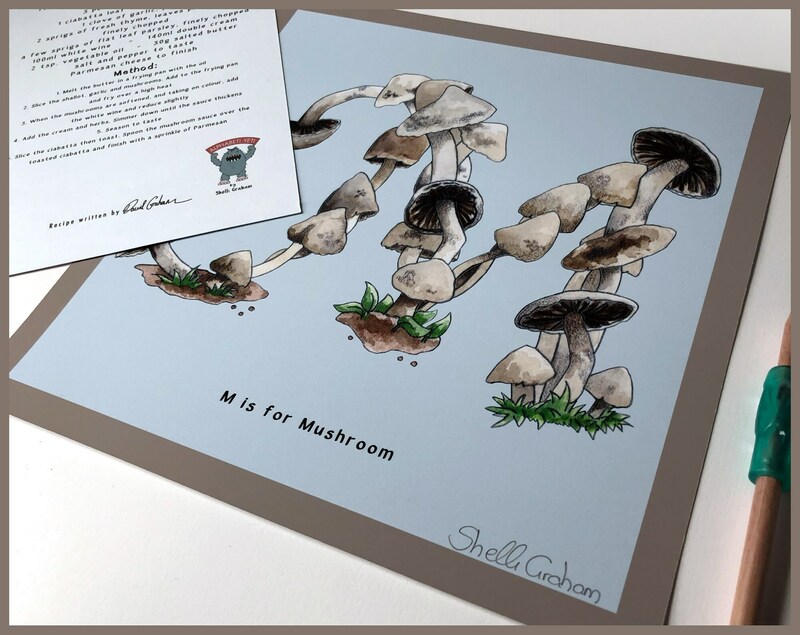 Each print has its own card featuring an original recipe using the ingredient featured in the artwork. All the recipes have been written by Cornwall based head chef David Graham. Please note frame is not included, the framed image is an example only.